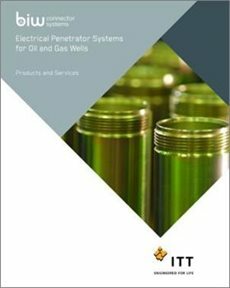 From Wellheads with Bonnets and Mechanical Splices, to Packer/Pod Penetrators and Smart Wells, BIW Connector Systems offers the most comprehensive penetrator system product offering available on the market today. We accommodate any size and provide multiple sealing strategies and ratings that address your biggest challenges. A bonnet or adapter flange is used in high pressure applications such as offshore installations, which will always include a bonnet. These applications are rated for 5,000 psi or greater BIW Connector Systems’ penetrator systems for this application are designed to work in the harshest environments. In most cases, the system is comprised of three pieces: surface connector, penetrator/mandrel and lower connector. These three pieces provide a complete pressure block, ensuring the integrity of the wellhead. Wellheads that do not have a bonnet are typically used in lower pressure applications and are sometimes referred to as non-API or independent wellheads. These wellheads are typically rated for 3000 psi or lower. BIW has 1, 2, and 3 piece penetrator systems that all provide a complete safety block while delivering reliable power. These systems are a safe and reliable replacement for cable packoffs. Long hangers are typically used when the wellhead has extended length. These wellheads usually require special penetrator systems that have a small penetrator bore profile. BIW penetrator systems for these types of wellheads are 2 piece systems that consist of a surface connector and mandrel/lower connector made up as one piece. These systems are easy to install and provide the same safety and reliable power as all BIW penetrator systems. Traditional ESP cable by-hand splices consist of breaking the cable, preparing each end, adding a conductor connection device, crimping, filling, re-taping with a variety of different tapes and layers depending on the environmental conditions and applications and re-armoring. Mechanical splices are a relatively new product category and are designed to overcome a number of potential problems with existing by-hand splices. Hand splices have performance problems in certain environments, require specific expertise and may be difficult to execute in certain well completion conditions. Mechanical splices offer excellent performance and ease of assembly and require no special technical knowledge or training beyond cable stripping. BIW Connector Systems offers electrical power penetrator solutions for all types of downhole pressure barriers including mud line packers, deep-set packers and electric submersible pump pods. Packer penetrators are specifically engineered to withstand pressure from both sides. All packer penetrator systems are designed to withstand repeated pressure cycles, and qualification testing for these devices includes a severe regimen of pressure cycling. Permanent downhole gauges (PDGs) play an important role for optimizing oil production. PDGs are always installed using metal tubing-encased cable, using both the conventional 1-conductor, and the newer 7-conductor cable types. BIW offers a variety of products to make the installation of these systems safer and easier. The safest installations of PDG cables require the use of a pressure-proof electrical penetration system. If an accidental breach of the PDG cable should occur downhole, the tubing encapsulated cable could provide a conduit for hazardous gases and fluids. When a penetrator is used, this risk is averted.